How can the endless amount of creative work from a graduating class be captured in an event identity? 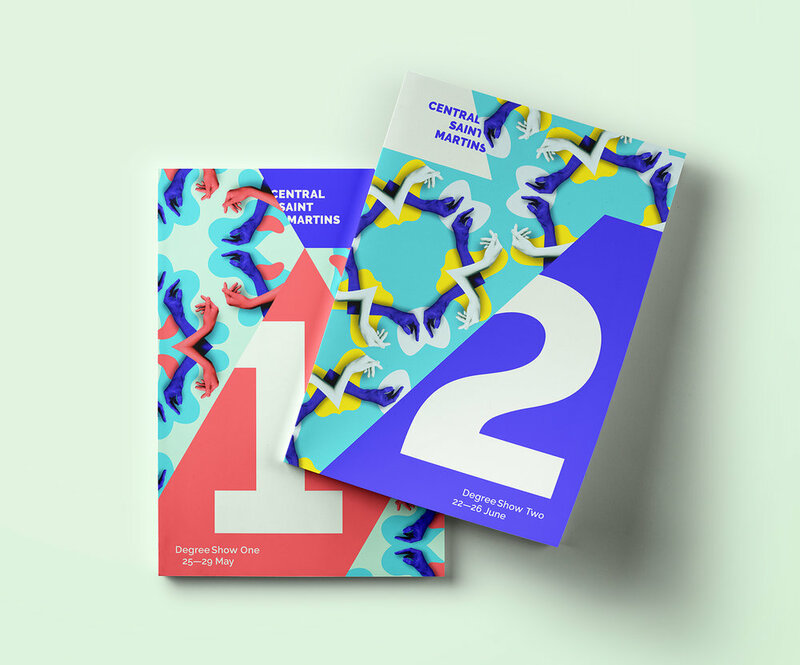 Each year, Central Saint Martins invites the art and design industries and the general public to view the ideas and creations of hundreds of creative students finishing their degrees. It’s a chance to see countless pieces of new concepts, techniques and intelligent challenges that are sparked and fostered within the university. At Central Saint Martins, students all start from the same place—the same set brief, the same studio class, the same workshop. And everyone begins the act of making in the same way, by using the one thing we all have in common: our hands. Even though the starting point may be the same, the outcomes never are. They span the spectrums of accessible and challenging, of traditional and innovative, and of personal and universal. Inspiration for the identity was taken from a kaleidoscope, where the same small set of gems creates a new pattern with every turn. The underlying system sets the stage for any configuration. The underlying grid is based on kaleidoscopic reflections. The triangular angles automatically tie all of the collateral together. The palette is energetic and full of color that pops. 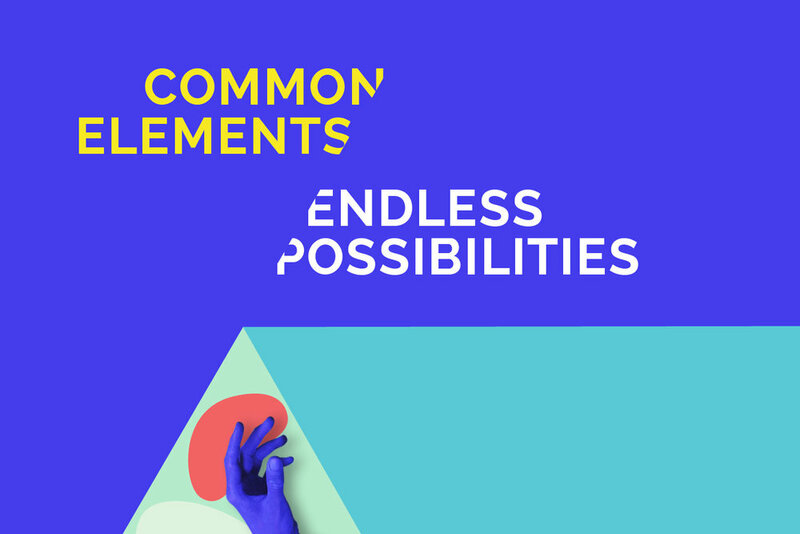 There’s no combination that doesn’t work, which means there are endless opportunities. An art directed, photo-based pattern resists showing photos of student work within the show. The text is not the star of the show but it integrates seamlessly into the pattern and composition and adds to the geometric structure to the designs. A digital production company gets an analog treatment. An app helps friends effortlessly plan details for a night out. BBC Design Sprint: Who’s In? A standard uni course diagram becomes user- friendly.